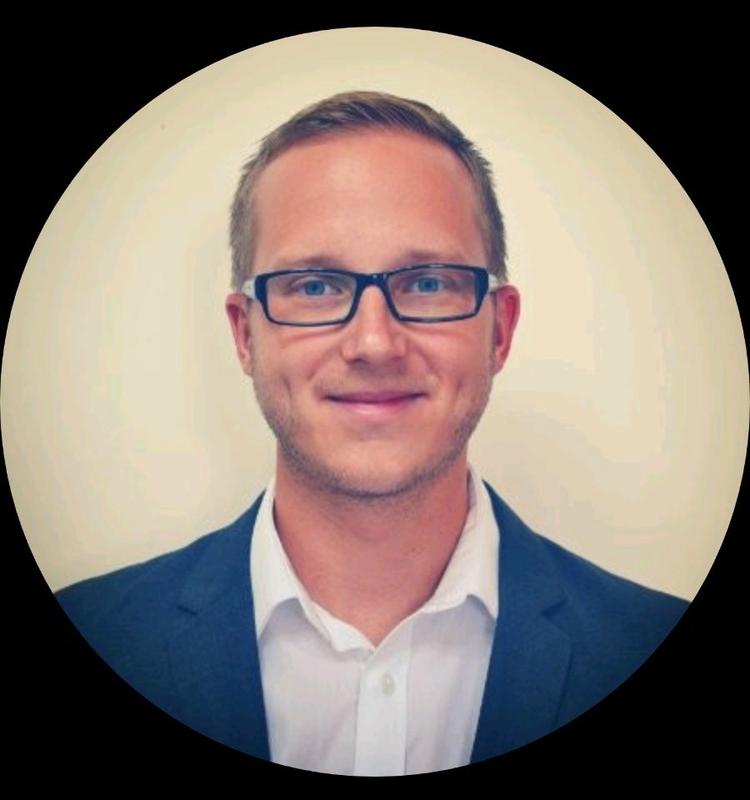 To understand fair and ethical eCommerce let’s first take a look about how it all started. The concept of Fair Trade is certainly not a new one, in fact the Fair Trade movement began in the 1960s. The early days of Fair Trade started with conscious individuals and organizations from more-developed nations (namely the US and parts of Europe) purchasing crafts and needlework from developing countries in order to provide vital income for local communities. During the 70s and 80s Fair Trade really gained pace thanks to the help of NGOs who came together to provide advice, assistance and support to disadvantaged producers from Asia, Africa and Latin America. As Fair Trade movement gained momentum the amounts and types of goods being purchased diversified to include foods such as coffee, sugar, nuts, rice etc. Cotton, clothing and other non-food products were later also added to the list of Fair Trade goods. 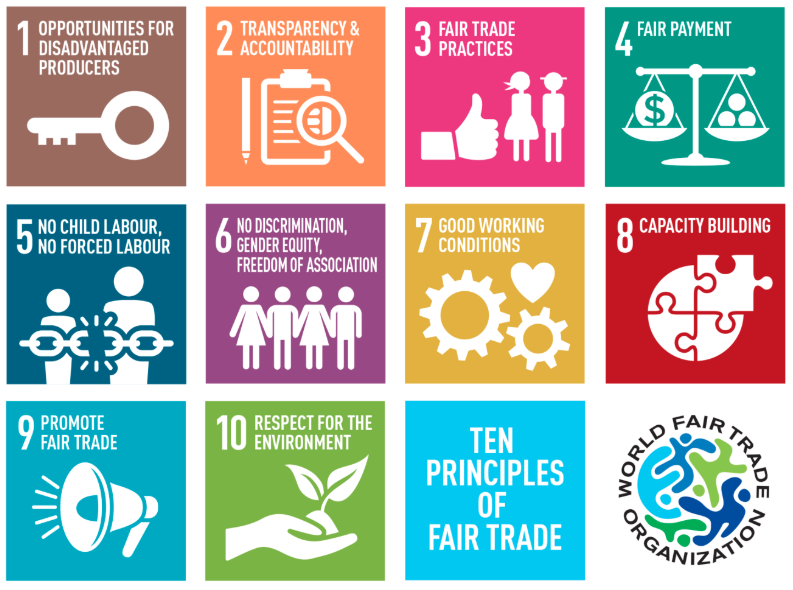 Fair Trade organisations have a clear commitment to Fair Trade as the principal core of their mission. They, backed by consumers, are engaged actively in supporting producers, awareness raising and in campaigning for changes in the rules and practice of conventional international trade.” World Fair Trade Organisation. Ethical or responsible trading is a newer concept. Ethical trade includes Fair Trade practices but it is also used as a much broader term to include concerns such as the social and environmental responsibility involved in trading and giving something back. Buying fair and ethical goods online has become a whole lot easier in recent years thanks to the general rise in eCommerce and the ability for businesses to now easily set up eCommerce stores on platforms such as Shopify, Wix and Magento. However, maintaining a viable online store is no easy feat. The biggest issue fair and ethical eCommerce stores face is more or less the same issue brick and mortar stores face in setting up their businesses and when trying to sell these goods. Money. Not only are there significant additional costs involved in sourcing ethical materials, paying artisans a fair wage etc. But then there’s the ongoing struggle to convince customers to buy Fair Trade goods, which are often more expensive, when they can find similar goods way cheaper elsewhere. The latter is very much related to the fact for that for some customers the idea of fair and ethical eCommerce is still a bit of a mystery. Stores need to make sure they make it clear what they are all about online and explain to potential customers why buying from them is just better for everyone. There’s no better place to start than the store that’s accredited by the WFTO as being one of the founders of the Fair Trade movement. 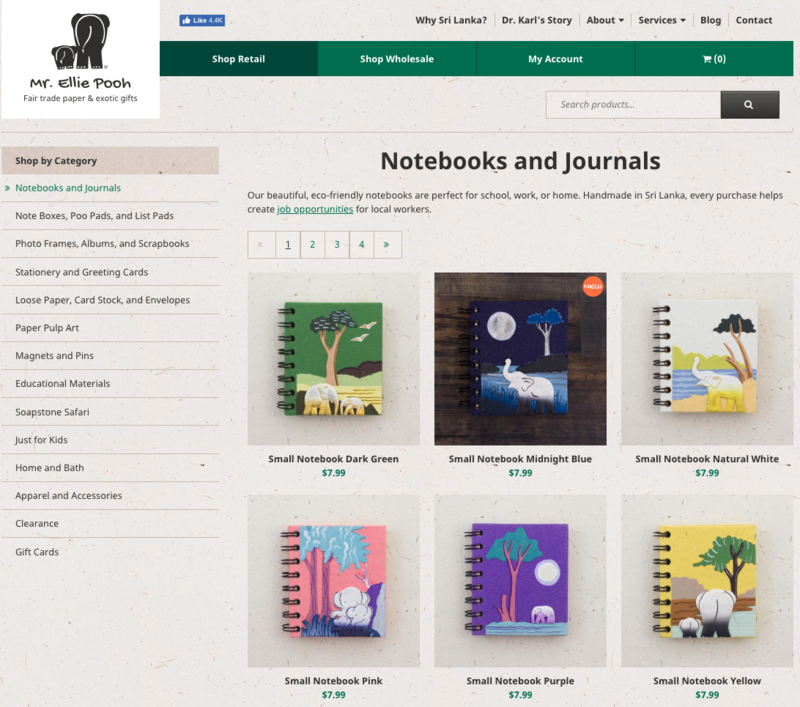 Today their online store offers a plethora of fair and ethical trade goods from jewelery, homeware to world craft goods. 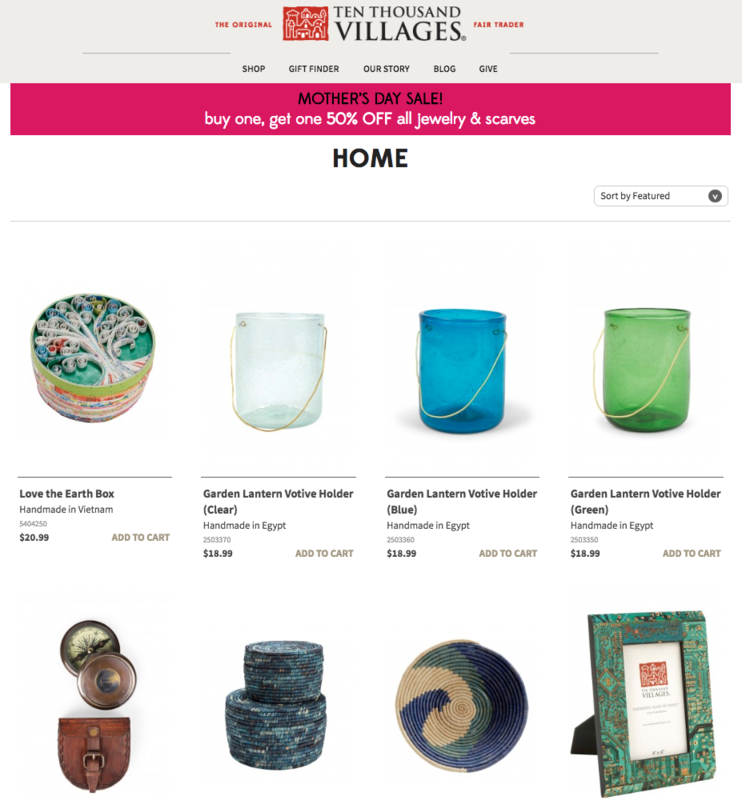 Ten Thousand Villages proudly mention on their site that since their founding in 1946, $140 million worth of sustainable income has been earned by their artisans who would otherwise be unemployed or underemployed. Need a fresh pair of kicks but want to make sure you’re doing something amazing with your money at the same time? Then look no further than soleRebels. Not only are their shoes handcrafted by a skilled team of artisans in their Ethiopian-based workshop, but they are made from sustainable materials. 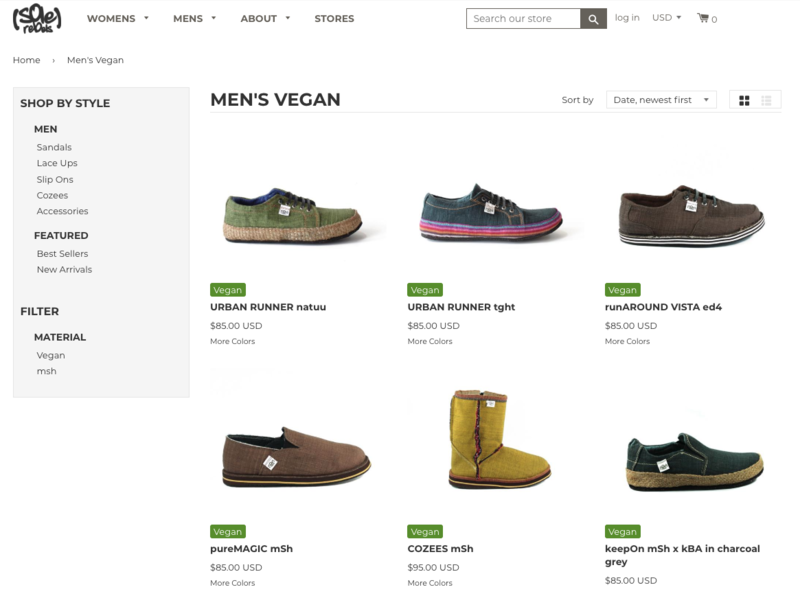 They even offer a vegan range for animal-conscious consumers. Happy Earth are firm believers in giving something back. Not only do they use ethically-sourced organic cotton and other eco-friendly materials in production, but they also give back 50% of their profits to promote conservation and sustainability. So far they’ve made contributions to leading non-profit organisations such as the Rainforest Alliance, American Rivers and the Leonardo DiCaprio Foundation. Putting this one on my Christmas list for sure! In an article about fair and ethical eCommerce how could we not mention everyone’s favourite thing. FOOD! 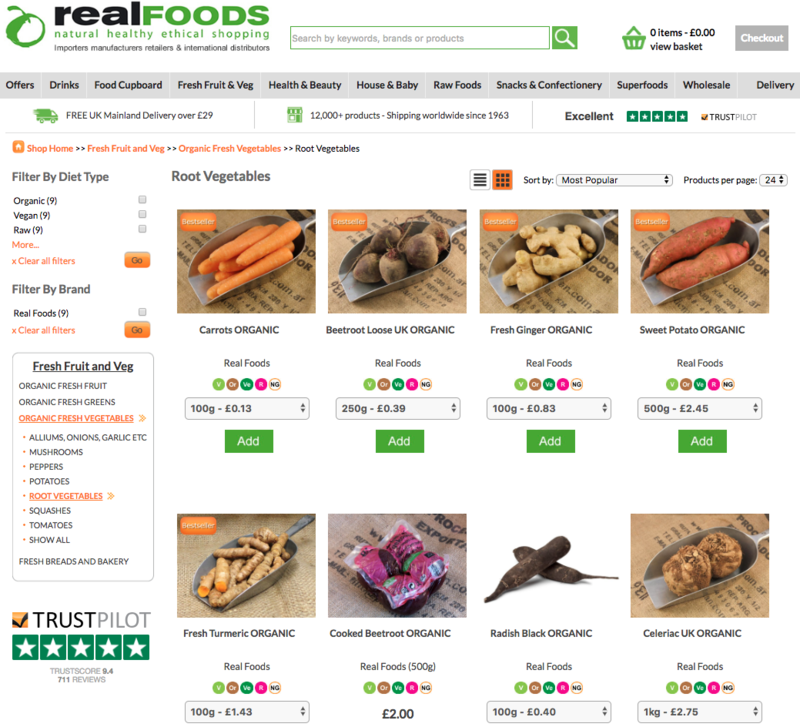 UK-based Real Foods have a long history, they started trading in 1963 selling organic fruit and vegetables out of a market stand. But over the years they have become a major player in ethical shopping in both their physical retail spaces and online. With over 12,000 ethically sourced and Fair Trade products on offer they certainly deserve a mention. From one great cause to another. 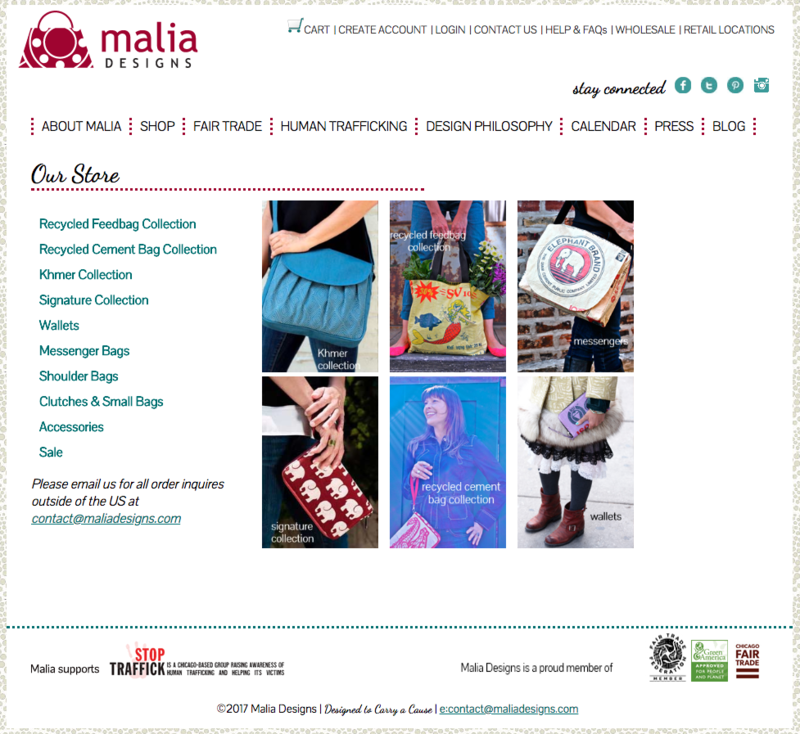 Malia Designs is a socially responsible Fair Trade brand that designs and sells handbags and accessories. Their products are handcrafted in Cambodia and every purchase helps to fight human trafficking. What better way to celebrate Fair Trade than through live music? 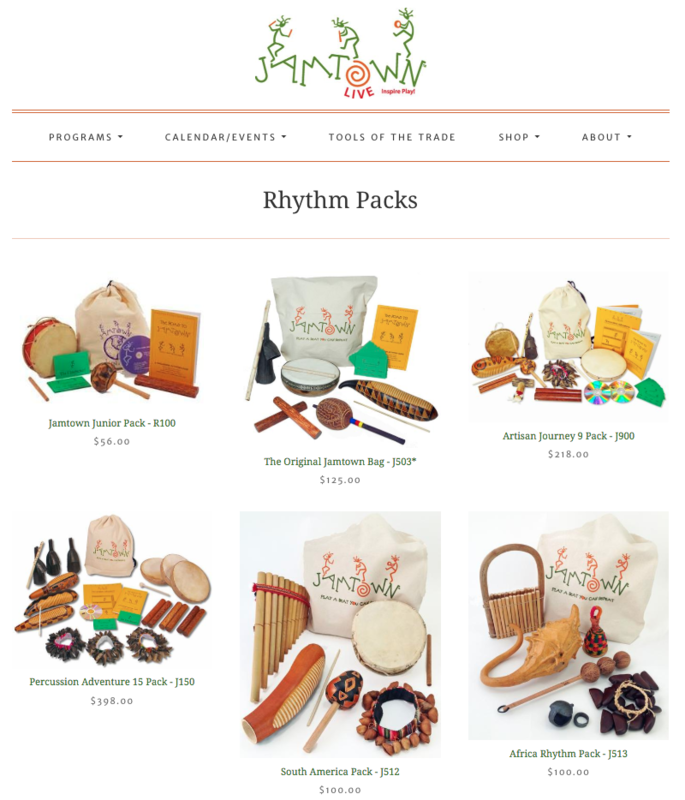 Not only does Jamtown sell handmade Fair Trade instruments on their website, but they also promote socially conscious trading and all-round good vibes through music workshops throughout the US. In sourcing these instruments Jamtown works directly with local manufacturers in eight countries from three continents. So there you have it, seven pretty awesome fair and ethical eCommerce stores that you should definitely take some time to get to know more about. Be sure to check out the ‘about’ section on each of the online store’s websites. They each have unique and amazing stories and there’s still plenty more to learn about the brilliant work being done to help people, the environment and animals all around the world. If you have a question about fair and ethical eCommerce or just want to give your special store a mention then be sure to comment below. 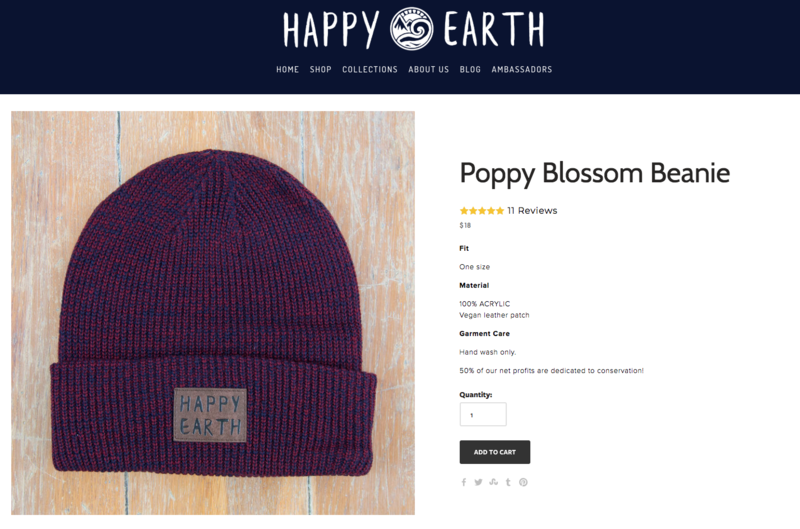 Also if you’d like to know more about how your online store could work on being a bit greener then be sure to check out our recent blog post Green eCommerce: 8 Ways to Improve the Environmental Impact of Your Online Store.